Ant-Man and the Wasp is the first Marvel movie after Avengers: Infinity War left theater-goers speechless. Ant-Man and the Wasp is its own standalone movie that mingles very little with the other Marvel films, not confronting the cliffhangers in Infinity War. If you haven’t seen Infinity War yet, you don’t need to in order to understand and enjoy this film. Ant Man and the Wasp is possibly even the best film Marvel could have put out right after Infinity War as it allowed Marvel fans to stop stressing over the cliffhanger at the end of Infinity War and focus on another great superhero adventure that is going on at the same time. 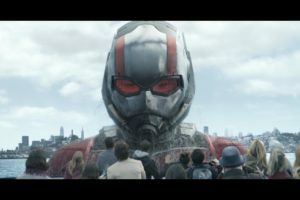 Ant-Man and the Wasp follows Scott Lang (Paul Rudd) way over on the other side of the United States in sunny San Fransisco, a place that doesn’t have much of a superhero presence (as opposed to New York City, where most of Marvel’s heroes live). Scott has been on house arrest now for two years following the events of Captain America: Civil War, and of course, he only has one week left until he is a free, non-superhero man. During his last week on house arrest, he has a dream about Hank Pym’s (Michael Douglas) wife, Janet Van Dyne (Michelle Pfeiffer) who has been trapped in the Quantum Realm since before the events of the first film. Scott then gets roped into another adventure with Hank and Hope Pym (Evangeline Lilly) to rescue Janet from the Quantum Realm. This time, Hope dons the suit of the Wasp, who can fly, has laser guns and is much more superheroic than Scott’s Ant-Man. This is the first Marvel movie which has a female superhero as a lead, even though she still is only portrayed as a supporting character to Scott’s Ant-Man. Despite not needing to see Avengers: Infinity War to watch and appreciate this movie, strong knowledge of Ant-Man (2015) and Captain America: Civil War (2016) are needed in order to understand much of this plot. 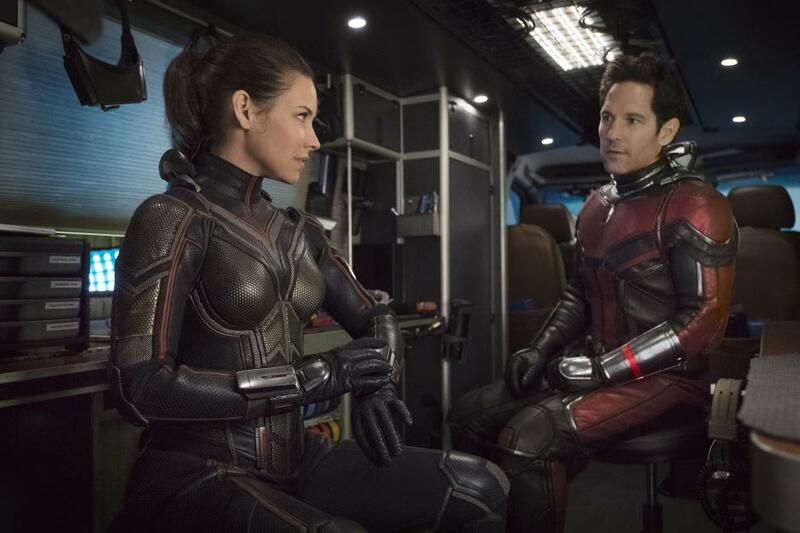 Many of Ant-Man and the Wasp’s story elements are directly caused by the events of those two movies. The film has a very interesting side villain in Sonny Burch, a southern weapons dealer who has some shady clients in the underground. Hopefully more on Sonny and his organization will be explored in later Marvel Universe entries. The main villain, Ghost, has some crazy-cool teleportation powers but a motive that is ultimately rendered unnecessary in the end, making Ghost evil just for the sake of needing someone to create tension with. Ant-Man and the Wasp is more of a comedy than it is an action movie. A significant portion of the film is spent on long jokes and comedic moments than suspense or action sequences. With a film about a superhero who can shrink down to sub-atomic sizes and make small objects comically large, it’s hard not to pass up on the opportunity to make it funny. By the way, the after-credits scene in Ant-Man and the Wasp will satisfy any questions you have about what happens to team Ant-Man after Infinity War’s cliffhanger.